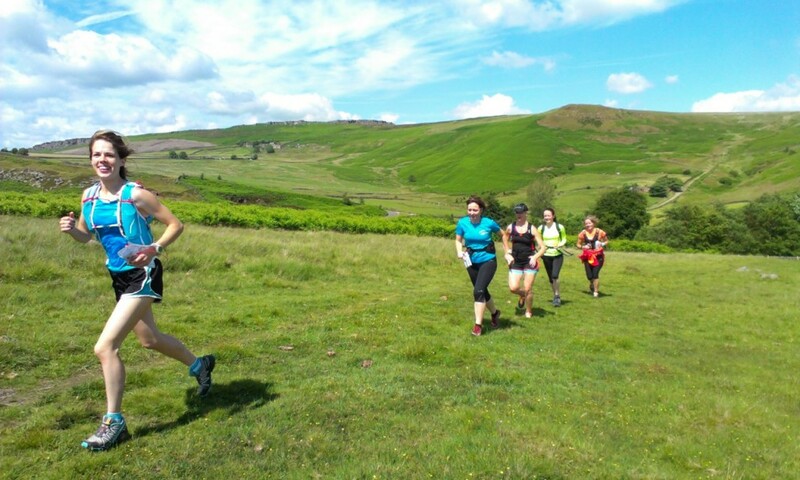 Fell Running Guide is pleased to have teamed up with Run Mummy Run to provide friendly, women only guided trail and fell runs in the beautiful Peak District. The focus of the runs is to socialise, enjoy the scenery and meet like minded people. We make sure we finish close to a cafe so you can enjoy a well earned cuppa and cake afterwards! Runs are between 8 and 10km with frequent stops and will last around 2 hours and are an ideal introduction to trail and fell running. And don't worry, you won't be forced to run up and down any steep hills unless you want to! You will need: Trail running shoes, waterproof top (hopefully not needed! ), drink for the run. Running backpacks can be borrowed free of charge. Fitness level: Everyone welcome but you should be able to cover 10km at an easy pace. Terrain: The route will cover some rough ground and could be muddy in wet weather. There are some short, steep sections but walking is allowed! Minimum number: There needs to be a minimum of 6 runners for the run to take place. Where: Burbage Valley, Peak District.